Applicable industry: The high speed disperser is applicable to the chemical industry, such as printing ink, paint, coating and pigment, etc. 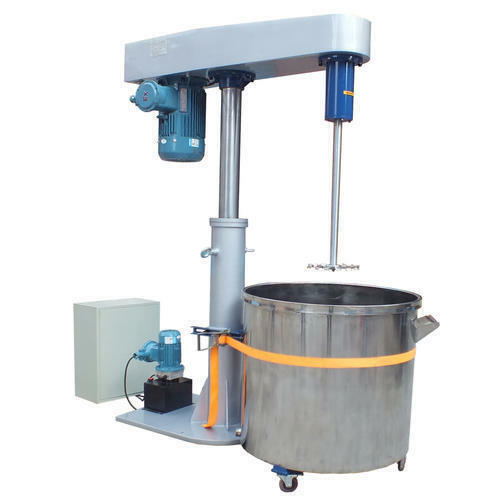 Function: This machine is suitable for product dispersing, mixing, blending and other production processes. Operating principle: The disperser is not only able to disperse the materials with low fineness requirement but also blend them into final products directly. Disperser’s saw tooth-shaped dispersing impeller intensely stires the paste in the vessel while rotating at high speed. The material particles become finer particulates during strong impact and shearing force. The mixing impeller blade is fabricated according to the size of material tank in order to fully disperse the materials inside the tank and meet production process requirements. Tips: You can raise processing amount, equipment form, size requirements or the property of the materials you need to process. Sower’s sales engineers will provide you with the solutions to your satisfaction. The High-Speed Disperser is suitably utilized in divergent industries for dispersing various materials. These dispersers give the superior result for products having several hundred thousand centipoises in the combination of multi-shaft mixers. This disperser is incorporated with air/oil hydraulic lift, a modifiable mix can lock mechanism, safety switches, V-belt drives & bearings, and explosion proof inverter duty motors to make sure exceptional dispersion of different materials.